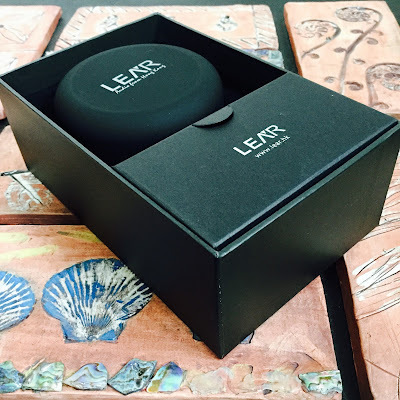 It took a while to get started on this review for a few reasons. 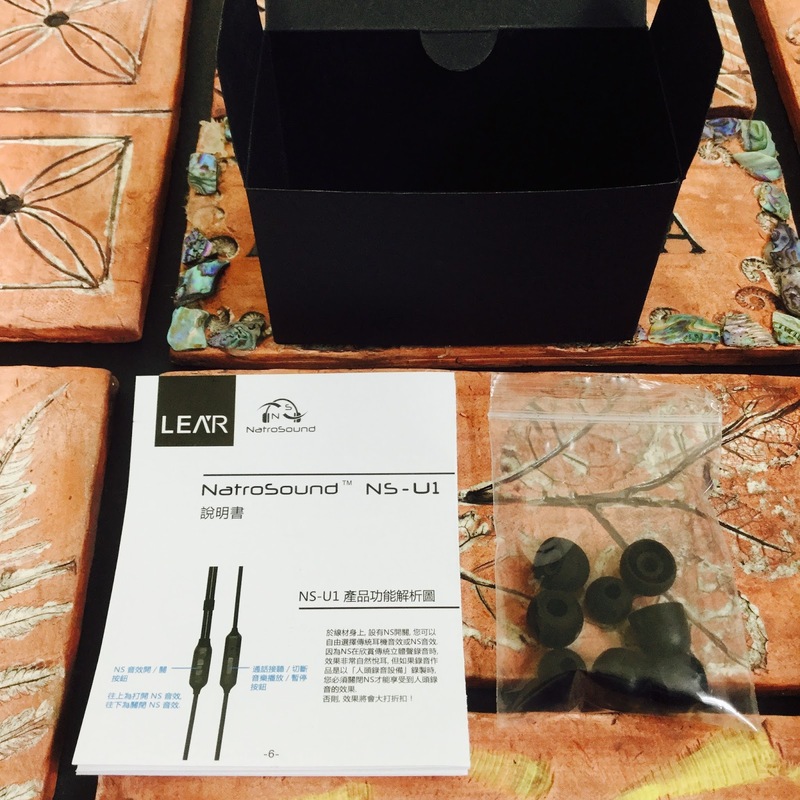 LEAR graciously supplied me with the standard cable AND the upgrade cable (NSC-03) for the NS-U1, which have Natrosound on and off switches so in a way I had several reviews and comparisons to do. Not that I am complaining mind. 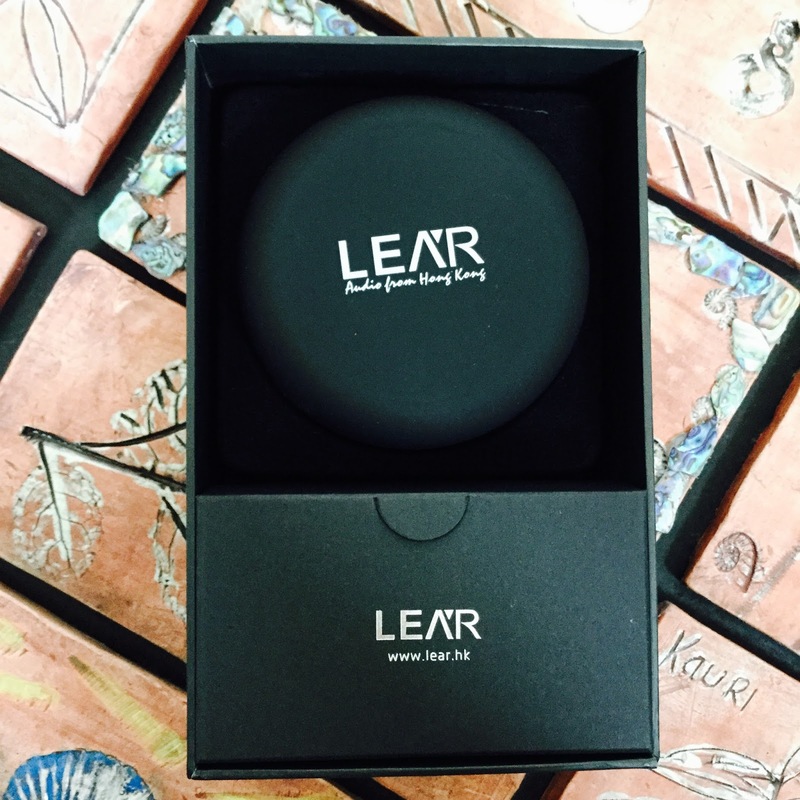 The LEAR NS-U1 is a concept piece in itself which a quick browse of their website will reveal in detail about the ideas and design behind the seed to fruition of this IEM. They describe it best so to save you a link click I have copied the relevant information over for you, its a good introduction to the concept before we get into the review. "LEAR's NS technology makes earphones simulate the loudspeakers' natural hearing experience. 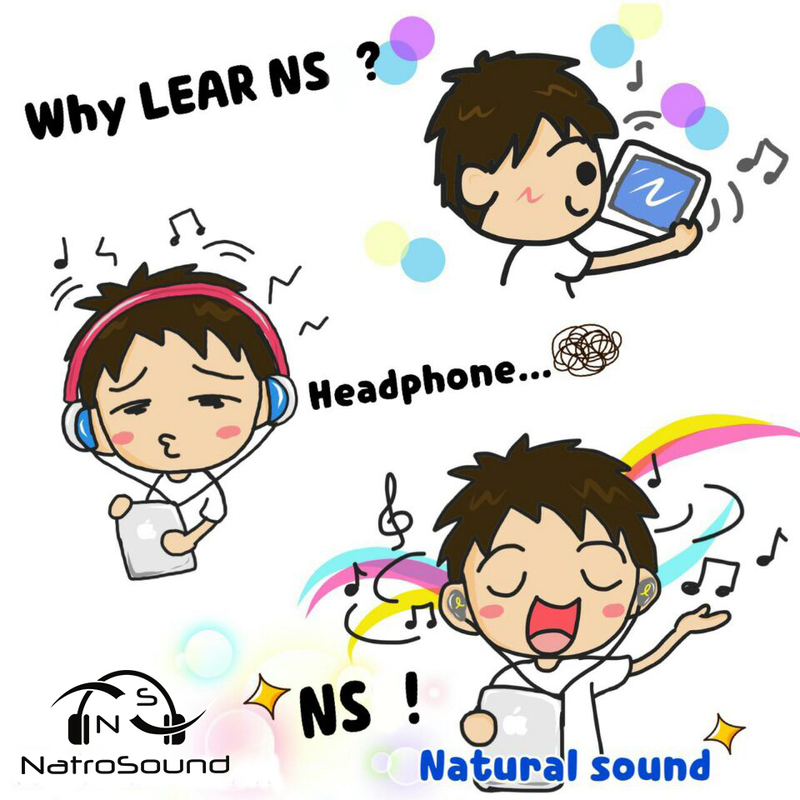 With NS, users can experience a natural front audio image with current audio files, without any additional plug-ins or external power! 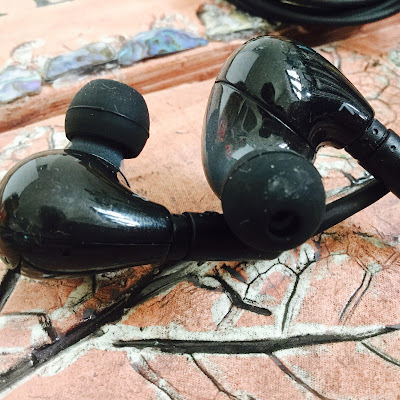 A lot of users feel uncomfortable, some to an extent that they get a headache because of traditional earphones' stereo sound. 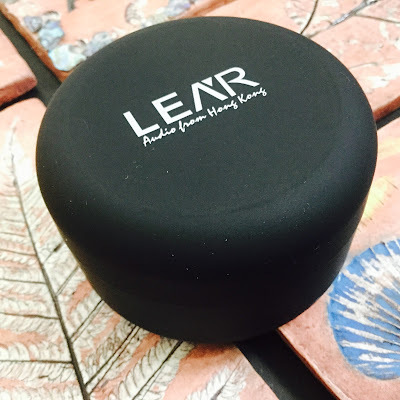 The sound on both loudspeakers are received by both our ears, and our ears determine the distance from the sound source with this effect. 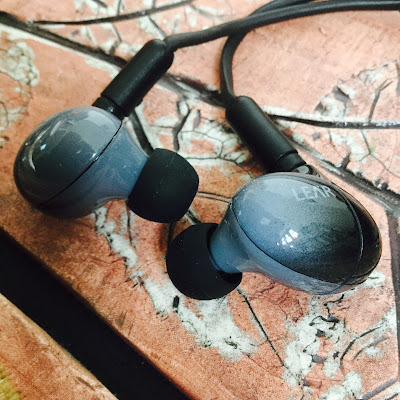 The sound on a pair of headphones come with separate channels like loudspeakers. 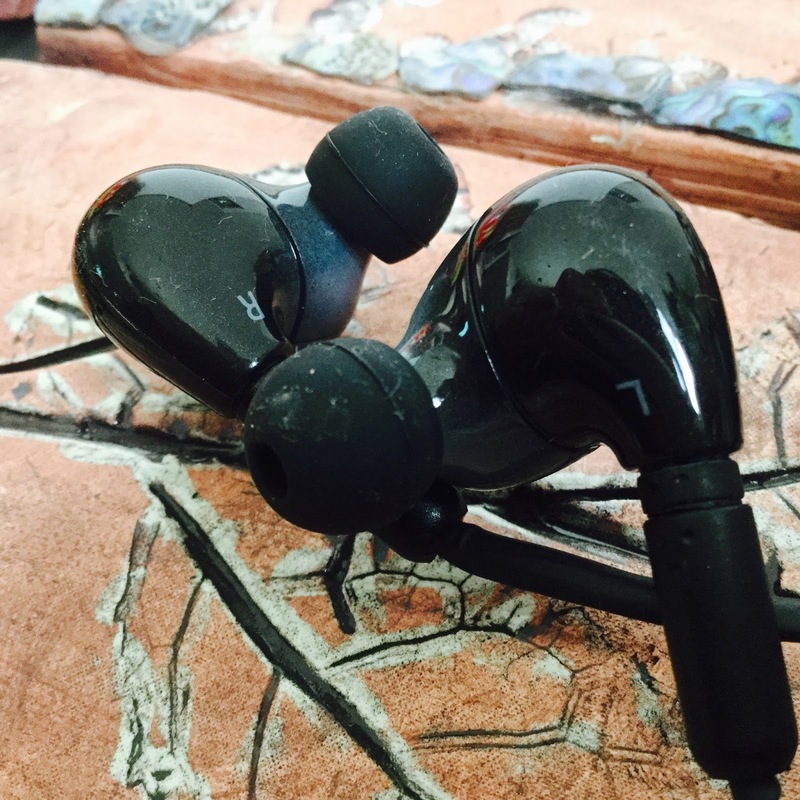 As the sound of headphones direct to one ear at a time, the ear would not receive the sound from the opposite channel. 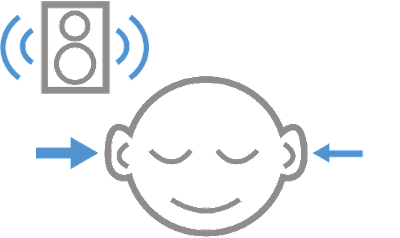 This results in an unnatural sound, which some might feel uncomfortable with this 'inside the head' sound effect that is different from the real world. The NS simulates a sound closer to the natural and actual sound from the real world. 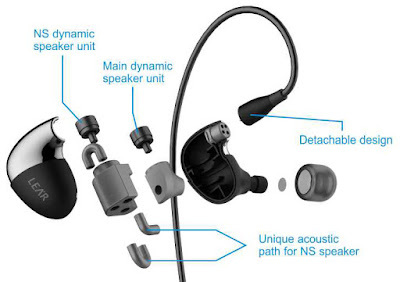 The NS technology sends the sound from opposite channel to the opposite earphone, in which NS acoustically simulates the natural sound delay and level. Consequently, user can experience the normal loudspeakers sound with NS.The NS technology sends the sound from opposite channel to the opposite earphone, in which NS acoustically simulates the natural sound delay and level. 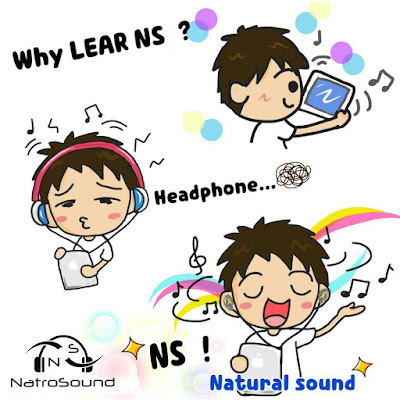 Consequently, user can experience the normal loudspeakers sound with NS. No external software/hardware, electronics, or external power needed: plug the NS earphones into any mobile/player and that's it!" 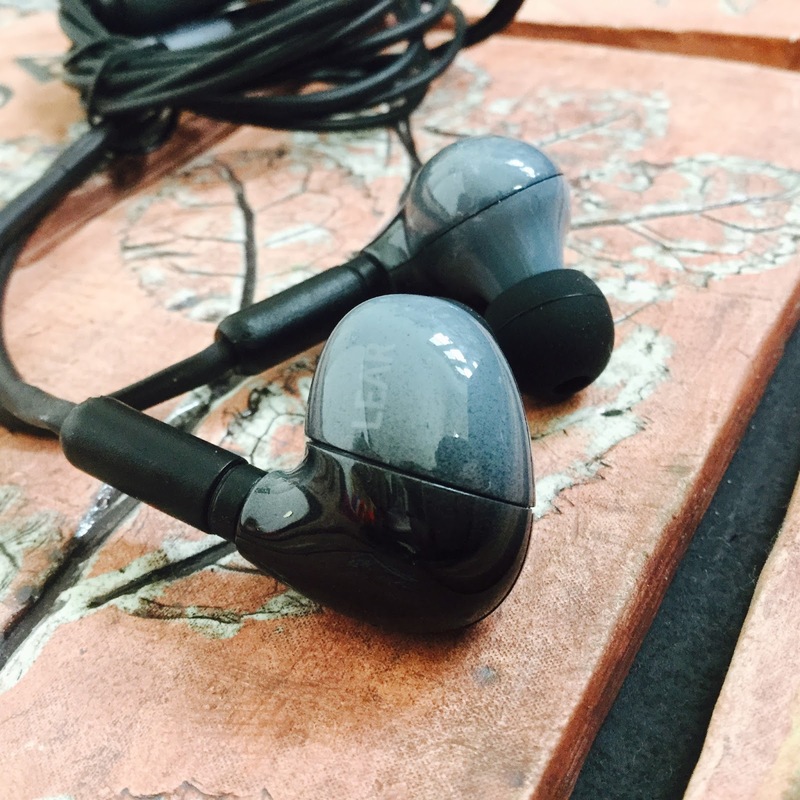 The build of the NS-U1 is mysterious as the shells are bulbous and quite different to what I am usually accustomed to seeing in an IEM. Nonetheless the shells and housing are solid, the cable is very robust. 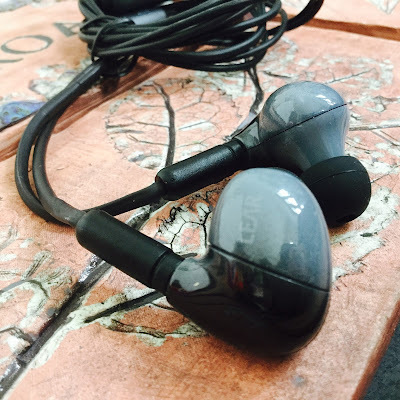 Two dynamic drivers are in each ear piece. 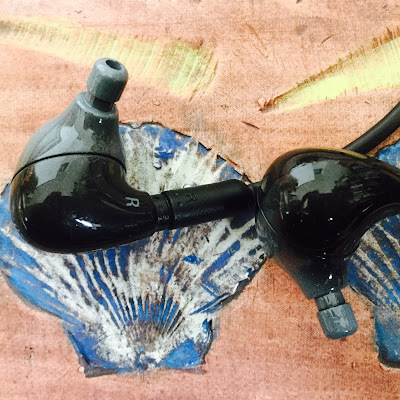 The nozzle is long and therefore will easily access most ear canals. 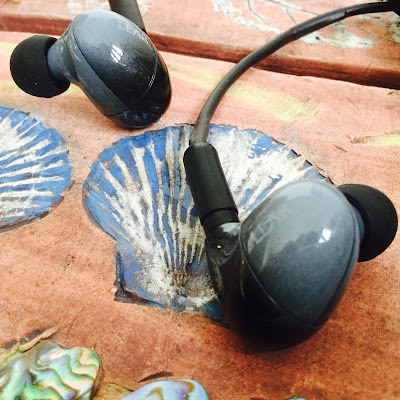 Natrosound on/off switch and bass and Natrosound +/- adjustment dials. 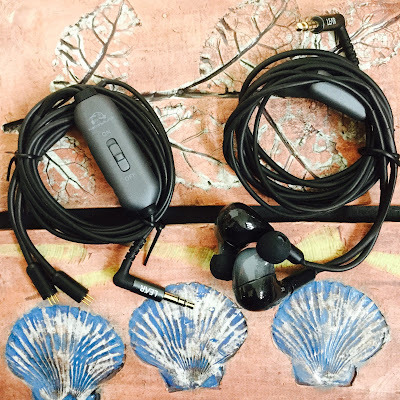 Two cables seen here: on the left the after market cable LEAR NSC-03 (kindly included by LEAR for review) and on the right the usual bundled cable that you would get with the NS-U1. 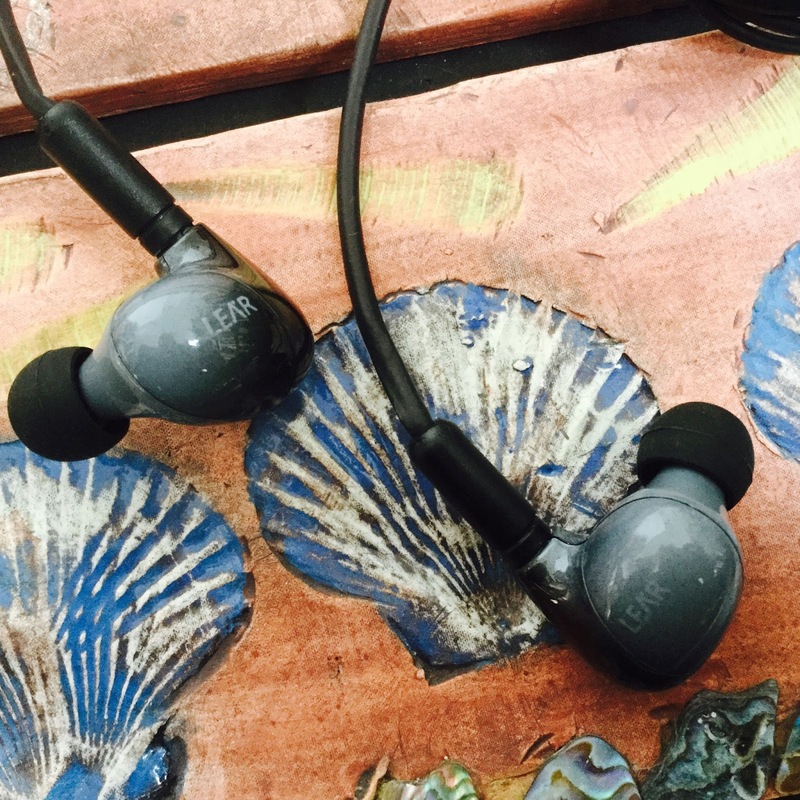 NOTE: the four pin design which is a key to how these IEMs work by turning on or off the extra driver. as opposed to the usually two pin or MMCX connectors. A simple no fuss nub for connecting the tips. Tips and connectors fit without effort. The packaging is of an appropriate size. Not too big, nor too small. 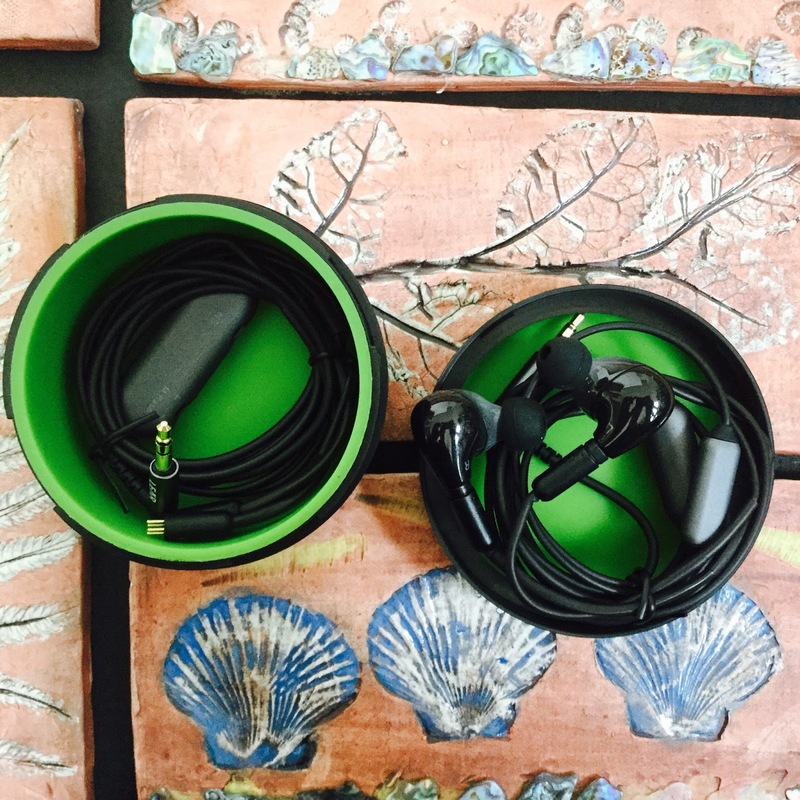 Two thirds contain the round case and IEMs, the cardboard square box the added tips and manual etc. 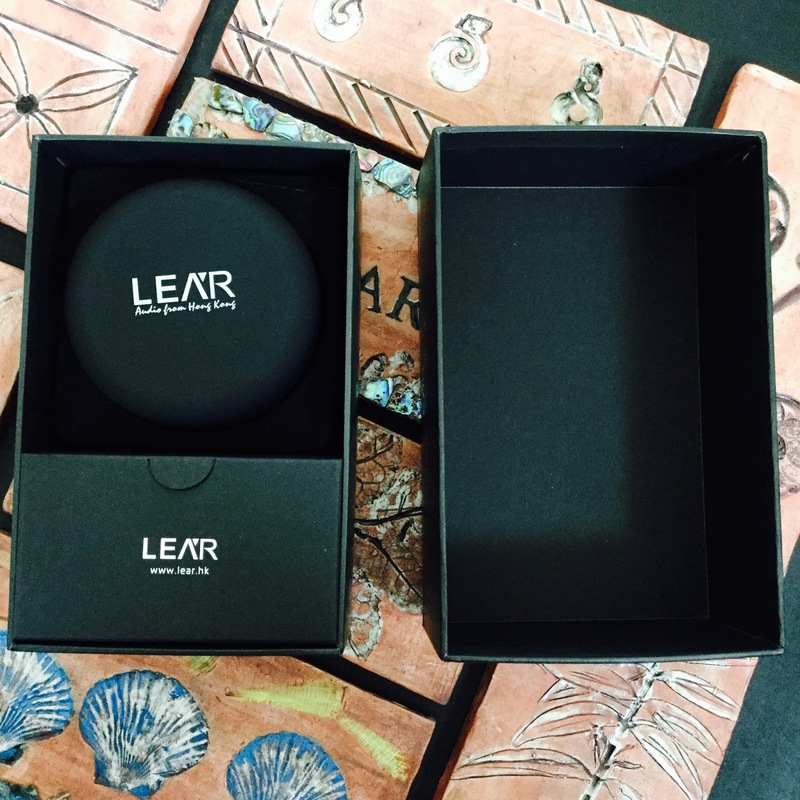 It comes with a sturdy case that has a black hard exterior and a green rubber interior for extra protection. 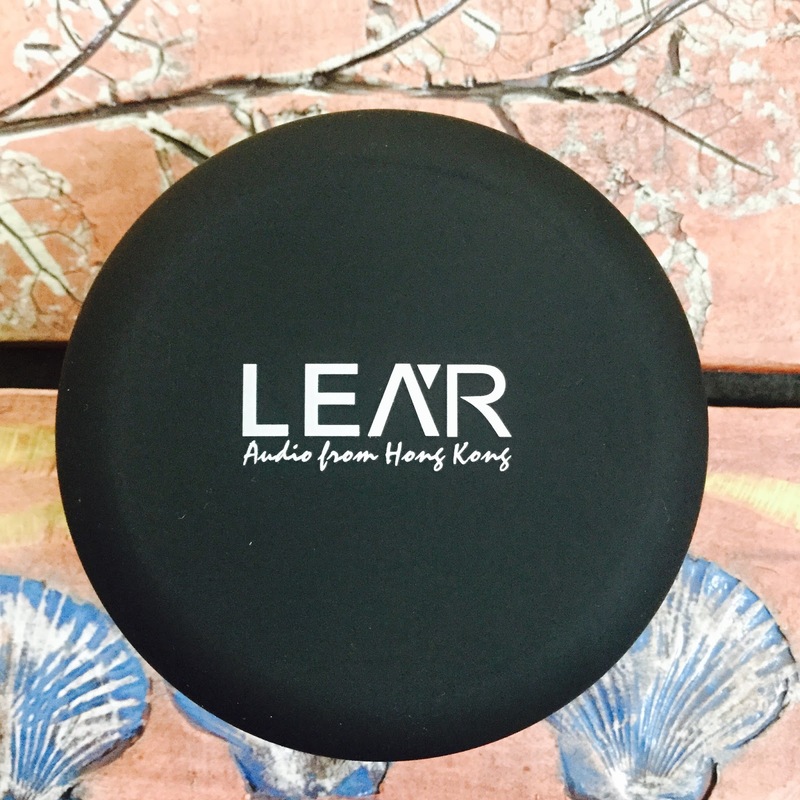 The fit on the LEAR NS-U1 can be comfortable even though the shells are quite large and bulbous. A stronger memory wire would have helped with the fit and keeping them fixed in place. I suspect the longer connector housing has something to do with that, as it prevents a nice form fitting curve around the top front of the ear. They would tend to go from a good fit to sometimes popping out at first, one has to get the right angle and cable tension to achieve no movement then they seem to be ok.
Good isolation and balance between both ends as far as sound is concerned. 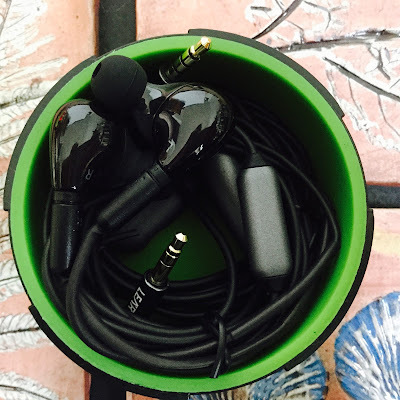 The sound for this review is mainly separated into several parts due to the two cables and also the different settings on the two cables. NOTE: There is a difference between the first impressions straight from the ipod touch to my later experiments with the Centrance Hifi-Skyn. 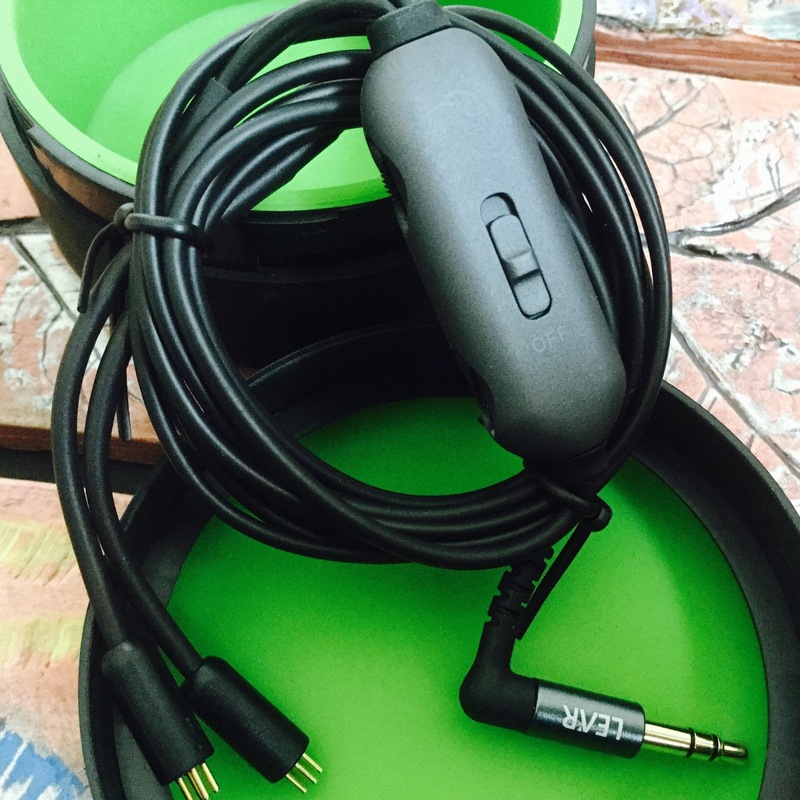 *The stock cable has a on/off switch for the Natrosound, a microphone for taking phone calls. *The upgrade cable has the Natrosound on/switch and also bass and dials to increase/decrease the bass or the Natrosound. Note the bass and Natrosound gradual adjuster dials on the left side. Ipod Touch 6G 128GB, Flacplayer by Dan leehr app. Stock cable. More light and airy without the Natrosound on, seems recessed, with the Natrosound on more bass and low end..fuller sound overall, smoother. Mids are too forward. Natrosound off, thin sound, although improved with bass set at near full. 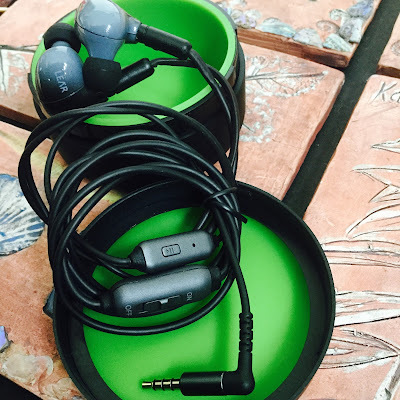 Natrosound on. Fuller sound, like an extra speaker underneath it all, bass off, I turned down the Natrosound a tad and better clarity was achieved. 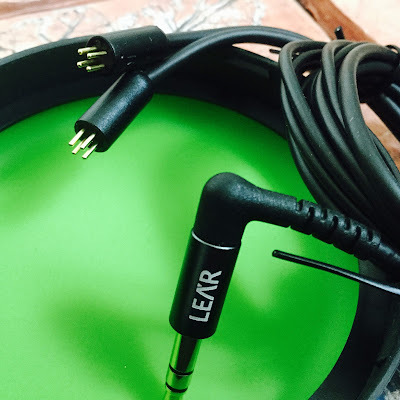 Summary: With either cable there is sometimes slight distortion with the Natrosound on at high volumes, also can sound a bit airy/empty without it turned on with some tracks. With Natrosound turned on at moderate volumes it is an enjoyable experience. Very nice to listen to and largely smooth overall, non fatiguing. Either setting it has a fast response. Centrance Hifi-Skyn (Gain 3), ipod touch 6G 128GB with Flacplayer app. Improved fidelity and smoothness overall. The NS-U1 seems to enjoy the extra gain and power. 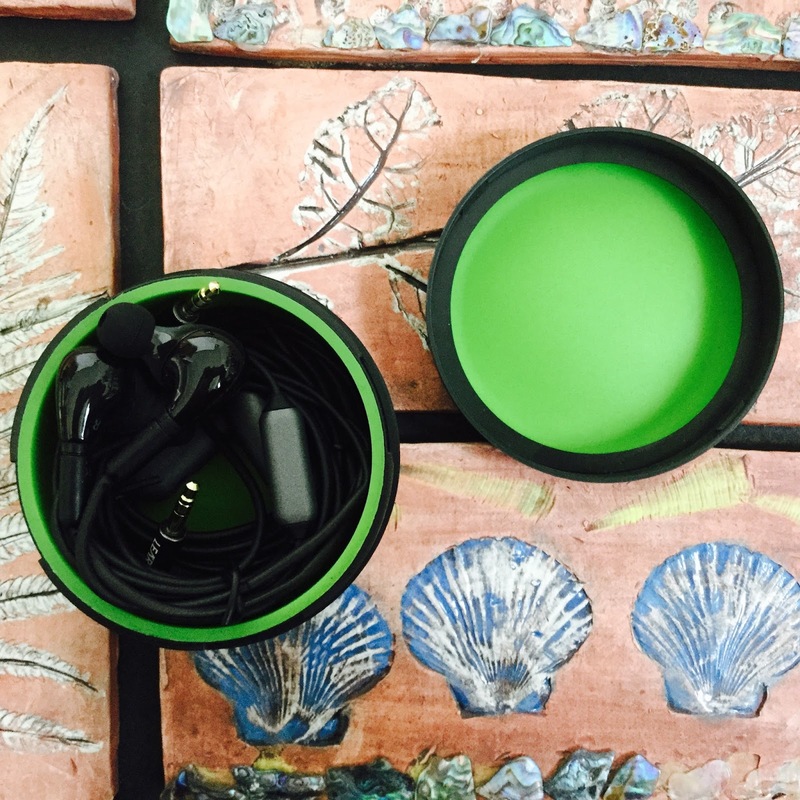 Listening with the stock cable has turned into a more pleasurable experience, even with the Natrosound turned off. Smooth, full, even. 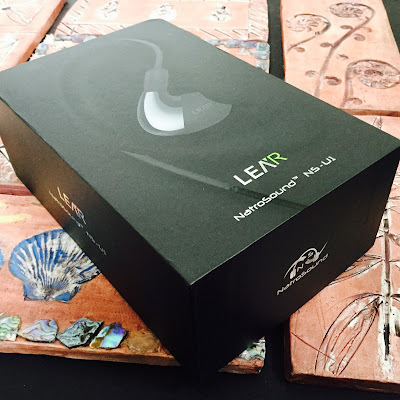 With the Natrosound turned on it seems at first like a slight improvement, a small jump, more fuller, rounded bass, but when I switch back and forth I am able to appreciate more what the Natrosound actually does and it is quite wonderful. Some detail is lost. Soundstage is fuller and wider. But of course the limitation is within the on/off of the Natrosound itself with the stock cable. Back to the upgrade cable LEAR NSC-03. Nice and clear, nothing exciting, fairly flat and reference. Clear. A sound signature that I could enjoy at low volumes. too much volume can give peaky treble. Congested at first until I adjusted the Natrosound dial a bit by turning it down a tad. Clear and nice with good details, ok soundstage. More height than width. Adding a bit more bass by way of the detail gives it an nice warmth and intimacy which balances out the highs somewhat. The concept is basically a type of crossfeed in some ways, although not exactly that, the sound from the main driver is fed into the smaller driver on the opposite side to give a more balanced result from the music. 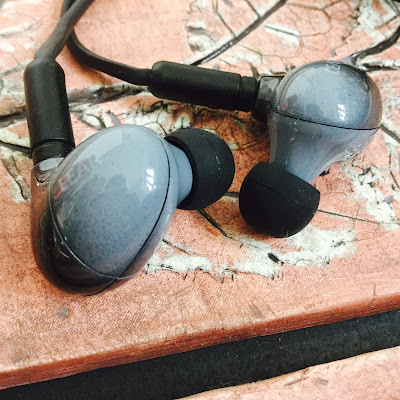 Not a TOTL IEM price, but just above budget prices. 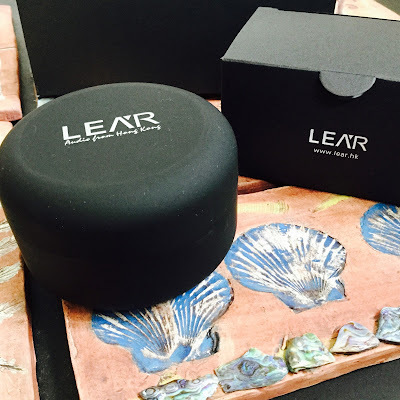 The LEAR NS-U1 fits into its price point well, good packaging and extras. It is a concept piece in a way so it depends on whether that floats your boat. If you are into crossfeed or non fatigue then this would be for you. The LEAR Natrosound NS-U1 is a certain IEM for a certain someone. At US$217 at the time of writing is a lower to mid fi price, either for someone nervously shopping around for the best of what their money can offer, or for some daddy more bucks who just wants to try it out for fun. 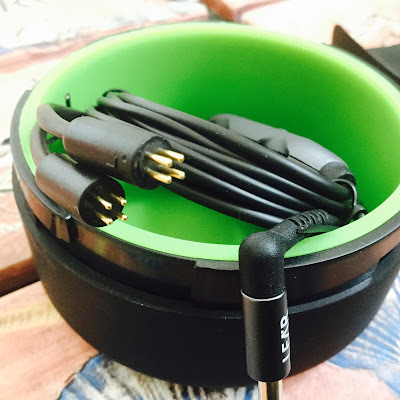 The build is solid and sturdy, perhaps too sturdy in places as the cable is a bit hard to fit snugly around the ears, and the connector is quite long, but aside from that I could still get a satisfactory fit and seal with minimal pop outs from the ear canal. The sound differs from the stock to the better upgrade cable and is a matter of taste. 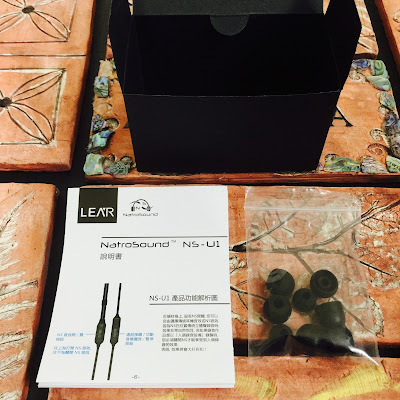 I preferred the upgrade cable LEAR NSC-03 the Natrosound turned on (with dial adjustments), the added options to adjust the sound and fine tune the experience improves it overall. 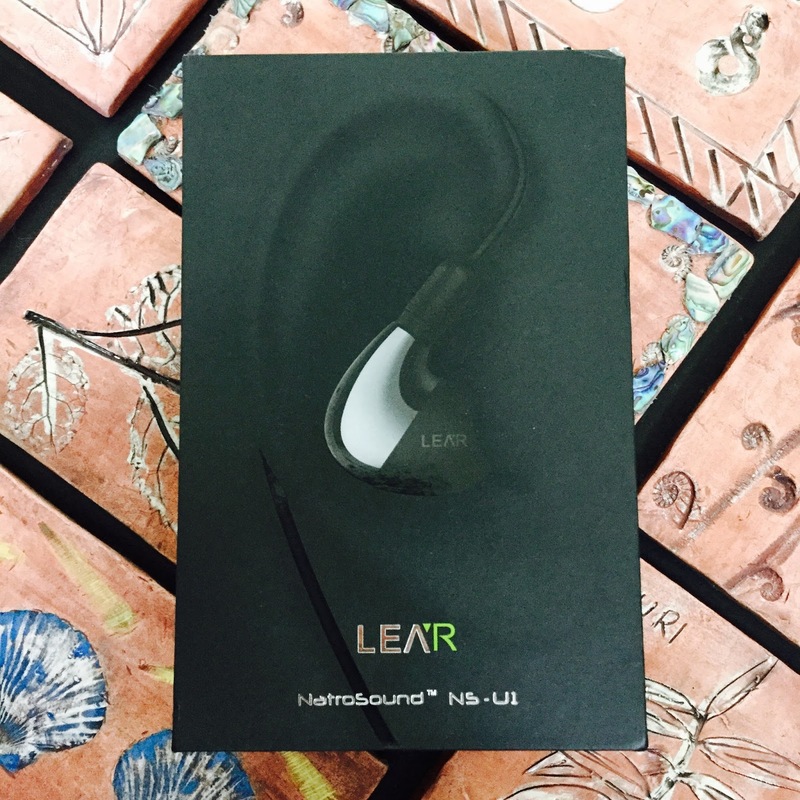 Experience differs with the music playing also, the LEAR NS-U1 seems to favor more quiet and laid back music, heavy rock at times can be hard for them to handle and gets congested. Sound reproduction is generally realistic and accurate. With the stock cable I prefer the Natrosound off, with the upgrade cable I prefer the Natrosound on (with adjustments to the dials). In short it does take some adjusting to get used to the Natrosound but once I did i quite enjoyed it and it grew on me over time.